Topping our lists today is the fully-loaded HP SlateBook Android tablet, complete with Tegra 4 and Full HD screen for only $425. You can also get the top of the line Dell U3014 30-inch monitor for only $999, tied with the lowest price ever. Don't miss the chance to snag the premium Razer Marauder gaming keyboard at 20% off list price. Scroll down to get these and the rest of today's hottest deals. 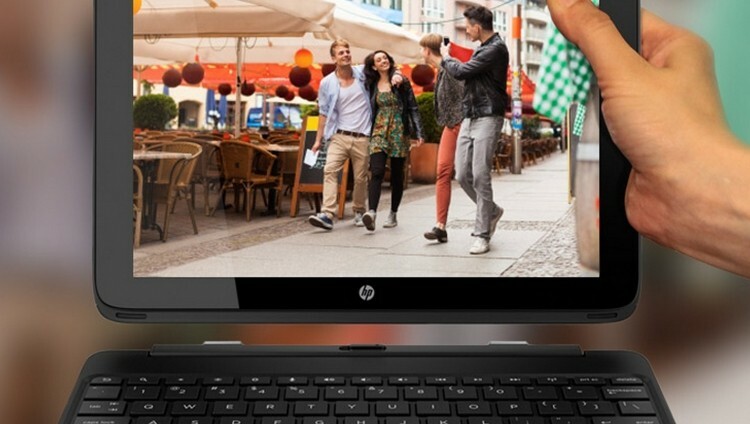 68 10.1" HP SlateBook 10-h010nr x2 1920x1200 Tablet/Notebook with NVIDIA Tegra 4, 2GB RAM, 12-hour battery life, HDMI and more for $425.05 with $9.99 shipping (normally $479 - use coupon code SVD8492 ). 86 30" Dell UltraSharp U3014 2560x1600 LED-backlit IPS LCD Monitor for $999.99 with free shipping (normally $1,499.99 - use coupon code VLH6GD5V4L3LD2 ). 81 Seagate Expansion 1TB USB 3.0 External Hard Drive for $49.99 with free shipping (normally $109.99 - use coupon code EMCXMVT33 ). 78 Razer Marauder StarCraft II Heart of the Swarm Gaming Keyboard for $79.99 with free shipping (normally $99.99). 76 Ends soon! Dell Inspiron 15 (3521) 15.6" Core i5 Laptop for $449.99 with free shipping (normally $549.99). JBL (Lenovo-branded) M1730 2.1-channel Speaker Set for $35.99 with free shipping (normally $79.99 - use coupon code USP1AG449246 ). Ends soon! Microsoft Store Sale: 75% off Razer Accessories (Keyboard, Mouse & Headsets). Dell Vostro 270s Core i5 Quad-Core Slim Desktop w/1TB Hard Drive, Windows 7 Professional for $499 with free shipping (normally $599 - use coupon code K9FW6K2P9DKC4$ ). 85 480GB Crucial M500 2.5" SATA III Internal Solid State Drive for $358.95 with free shipping (normally $399). 79 Lenovo Enhanced Multimedia Remote with backlit keyboard N5902 for $31.99 with free shipping (normally $79.99 - use coupon code USP1AG446678). Dell XPS 8700 Special Edition 4th-gen Core i7 Haswell Quad-core Desktop w/32GB RAM, 256GB SSD + 3TB HDD, Blu-ray, 1.5GB GeForce GTX 660 & Windows 8 Pro for $1,699.99 with free shipping (normally $2,199.99 - use coupon code GW77JQ93ZD$P19 ). Alienware M18x r2 18.4" Core i7 Quad-core 1080p Gaming Laptop w/ 2GB Dual GeForce GTX 680M SLI, 2-year warranty for $2,499 with free shipping (normally $3,519 - use coupon code HVM53HTDRG?RSP ). 84 Razer DeathAdder Essential Ergonomic Gaming Mouse w/ 3500dpi 3.5G infrared sensor for $39.99 with free shipping (normally $79.99). Corel Paintshop Pro X5 Ultimate for $59.99 with free shipping (normally $89.99). Microsoft Windows 8 Pro Upgrade for $64.99 with free shipping (normally $199.99).